Today our team, working for Royal FrieslandCampina, received a small but precious trophy. The project closing is drawing near. 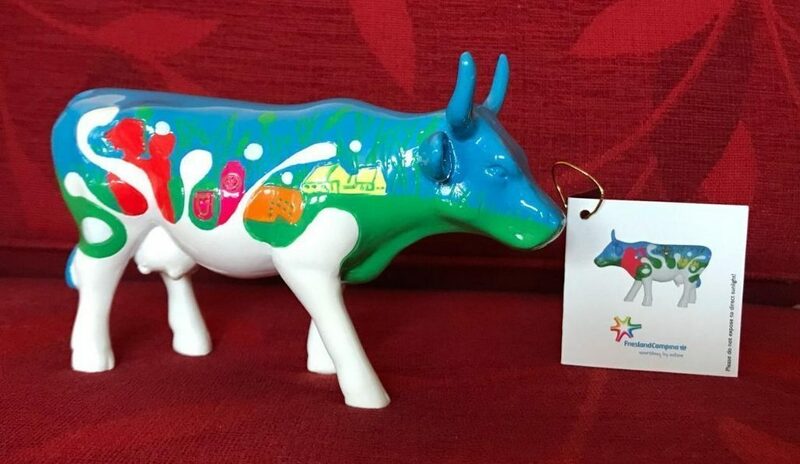 This genuine and special CowParade piece will remind us of a successful project with lasting outcome. Thank you, Jeroen Van de Broek and Pieter Blomjous and your teams, for your trust and professional co-operation! The humble Recentes team: Robert Segaar, Derk Hagen, Katja van Esch, Kaj Rosink and Jaap Wieman.